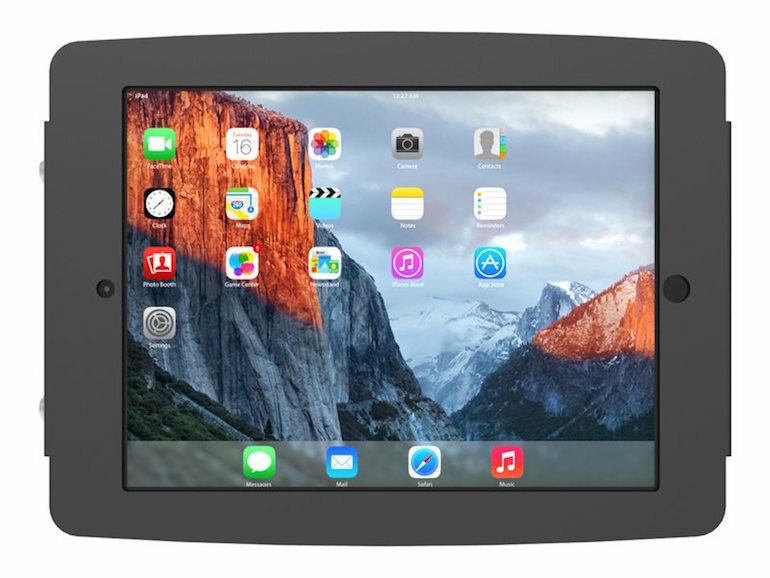 Maclocks iPad Secure Space Enclosure Wall Mount Black – Mounting kit (anti-theft enclosure, removable home button cover, fit kit) for tablet – lockable, aluminium, black, wall-mountable for Apple 12.9-inch iPad Pro. Maclocks iPad Secure Space Enclosure Wall Mount Black – Mounting kit (anti-theft enclosure, removable home button cover, fit kit) for tablet – lockable – aluminium – black – wall-mountable – for Apple 12.9-inch iPad Pro. Maclocks iPad Mount Bundle combines all the advantages of the new iPad Enclosure and Security Lock,with an all-in-one counter-top and wall mount bracket,making it a perfect all-inclusive iPad security kiosk,iPad Kiosk for education,health-care,corporate,retail and point of sale environments. 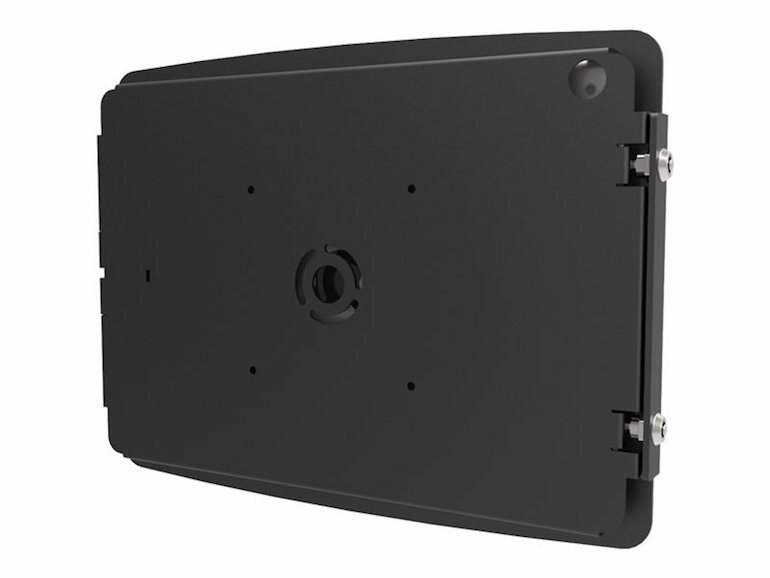 The iPad “Space” lockable Kiosk secures the iPad against theft and is completely tamper-resistant. All Wi-Fi,Bluetooth and 3G radio frequencies are uninterrupted by the enclosure,which allows for restrictions on the home,volume and power buttons.